Having a bit of a problem with my Daytona 2 stack, (For background it did always have a faulty video ram) but played OK with only minor glitches, and given the cost of video boards I decided to live with it. For a while now its been having trouble booting requiring a couple of power cycles to start up, I originally thought this was PSU related but have swapped out the PSU with no improvement, checked the chips are getting 5.1v etc. BACKUP RAM : UNREADABLE .. HALTED. 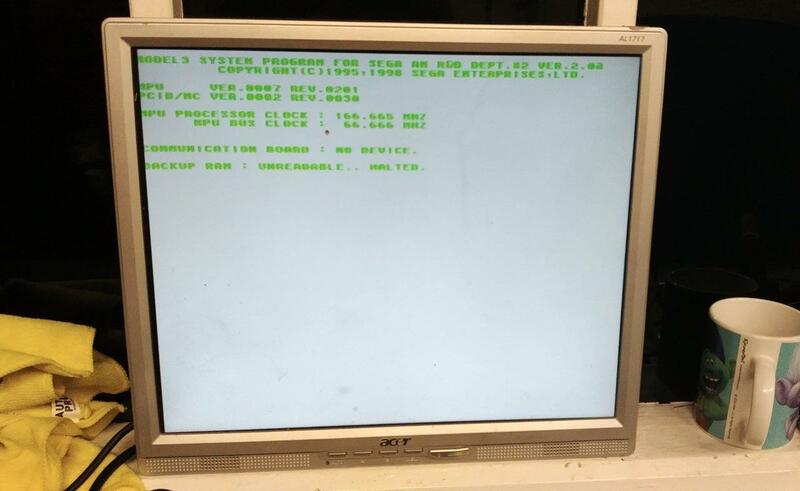 I'm guessing its terminal, having played around model 2 stuff even a completely borked video board will boot, but I don't have much experience with model 3 stuff so any ideas if its the video or CPU board that's causing it? My guess is it’s the cpu board as I have one that won’t boot properly and I have tested a working cpu and all is ok. I could be wrong but that’s my thought. Well glad to hear its probably the CPU board, if the worst come to the worst it will be cheaper to replace. Any idea where those components are, would they be near the battery? If there is a battery on the board I would measure it's voltage. It's pretty old hardware and if the battery is totally dead it could prevent the cpu from properly reading the nvram resulting in your error. 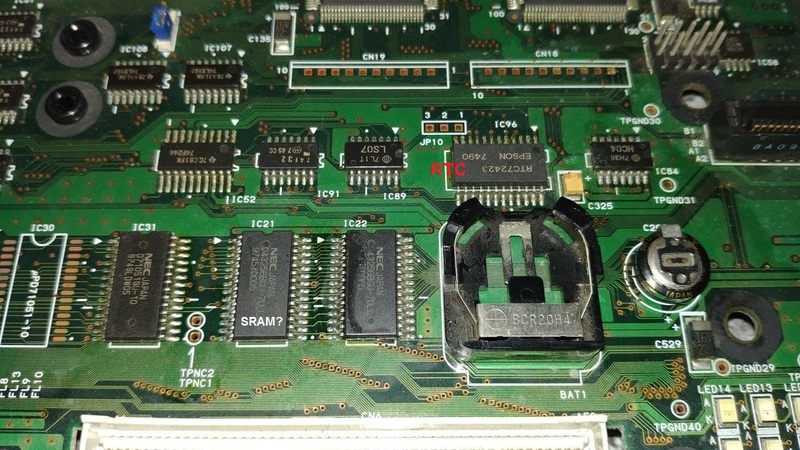 Also check if it hasn't leaked and maybe coorosion damaged a pcb trace. 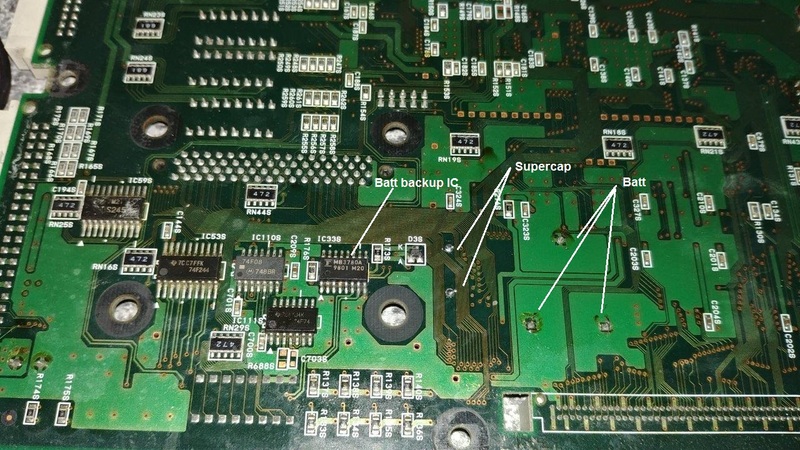 Have you de-soldered the super cap to check it? Last one I replaced looked fine, but was badly corroded underneath. If this has happened to yours, it may have damaged traces. Yeah I took it off to check and re do the solder, looked ok, don't suppose I could use a normal cap to test, or is there something special about the super cap? Can't speak for model 3, but on a regular NAOMI 1, I'm pretty sure all the super cap does is allow the coin battery to be changed, without wiping the settings RAM. I believe you can remove the super cap and the board will run fine without it. Yeah I couldn't find much info on the supercap regarding model 3, but I assume its similar to the Naomi, it doesn't boot either with the supercap removed but I think I will replace it anyway when the new one arrives, its easy enough to get to so may as well. If that doesn't work I'm kind of out of ideas where to look next, I think the chances of me being able to sucessfully replace any of the surface mounted components is pretty slim. Supercap replaced and still no change, think I'm going to double check all the continuity in that area, if the battery is installed should I be seeing voltage on the vcc pins of the srams all the time? I imagine so, else the settings would get wiped. Ok so I got 3v on the vcc pins of the srams nearest the battery, increasing to 5v when booted ao im sure they are getting power. Also double checked continuity in that area and dint find anything. Short of replacing the srams im not sure there is much else I can try. 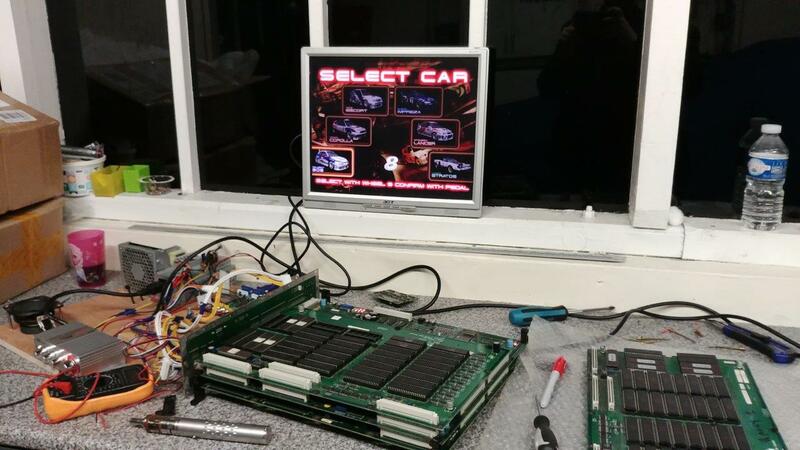 Daytona 2 is the game that shows if your boards are 100% stable and error free. Boards that I thought were OK wouldn't boot Daytona 2 or would randomly throw various errors. I'm with Bonehead, that fault looks to be a CPU board issue. I had a stack that would play Sega Rally 2 but had issues with Daytona 2. I did come across this guide on my travels surfing the internet, maybe you could ask the author of that guide for some pointers? Its just to provide power to the srams when you change the coin battery, so Sega making things overcomplicated. To be honest it was a long shot being the only thing in that area that is easily replaced and their tendency to leak I thought it was worth a try. Bonehead is going to look through his spares to see if he has a spare D2 stack for me, I have ordered 2 srams, but I'm a bit worried about installing them, but then if the boards buggered anyway it might be a good chance to learn. Bit of an update here, got a faulty SR2 ROM board from Mo, and swapped the ROMs over to my Daytona board (turned out the ROM board was busted but the ROMs are fine) and whilst I'm still getting a black screen when I first power it on, after leaving it a couple of mins and cycling the power it boots up and plays fine. So I'm a bit unsure what to think. But at least its playable again. I keep looking at those hot air stations. Glad to hear they work well enough. I have ordered some srams and was going to attempt changing them over using chipquick. But now its sort of working again im kinda hessitant.